Editor Avneesh Chhabra and authors review important areas in Endovascular Management of Neurovascular Pathology in Adults and Children. Articles will include anatomic considerations, upper cranial nerves, lower cranial nerves, peripheral neuropathy, brachial plexus, upper extremity neuropathy, pelvis and lumbosacral plexus, lower extremity nerves, chronic pelvic pain syndrome, nerve tumors and tumor-like conditions. 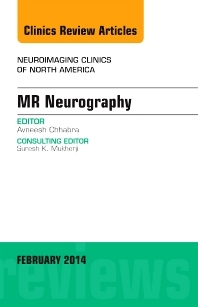 Other articles will focus on a primer for imagers, neurography research, DTI and future directions, technical considerations, neurographic interpretation, and more!